Get down with the Bobster Lowrider II wrap around eyewear that rides stylishly over the eyes while providing ultimate peripheral vision. Three sets of polycarbonate lenses allow a smooth transition from day riding to evening and night rides. The rugged black matte frame ensures a snug fit, while cushioned by soft open cell foam that absorbs perspiration and keeps out wind and debris. It looks and feels great, but cannot figure out how to change lenses. I feel like I'm going to break the frame and or lenses if I attempt to remove the dark lenses that come already installed. No instructions are included, to assist in the "easy" lens change process! Don't want to risk breaking them, so I'll just cruise "in the dark"! I bought these because I'm an old man and my eyes water if I don't put the visor down on my helmet. I think they restrict my field of view and I don't feel comfortable with them yet. I'll try them again... but maybe my eyes watering is better than not being able to see to the side. Very easy to change lenses for day to night time riding. Allows no airflow into eyes. I wear with a full face Arai helmet and they fit well . Good sun block for Florida riding. Not really for other than riding IMOO due to protective wind foam. They are comfortable and forget I'm wearing them . Good quality, not for long oval faces. Can anybody who have purchased and used these give a review? I need a decent pair of sunglasses to ride and being able to interchange lenses is a huge plus! BEST ANSWER: Can't beat the price point with this functionality . 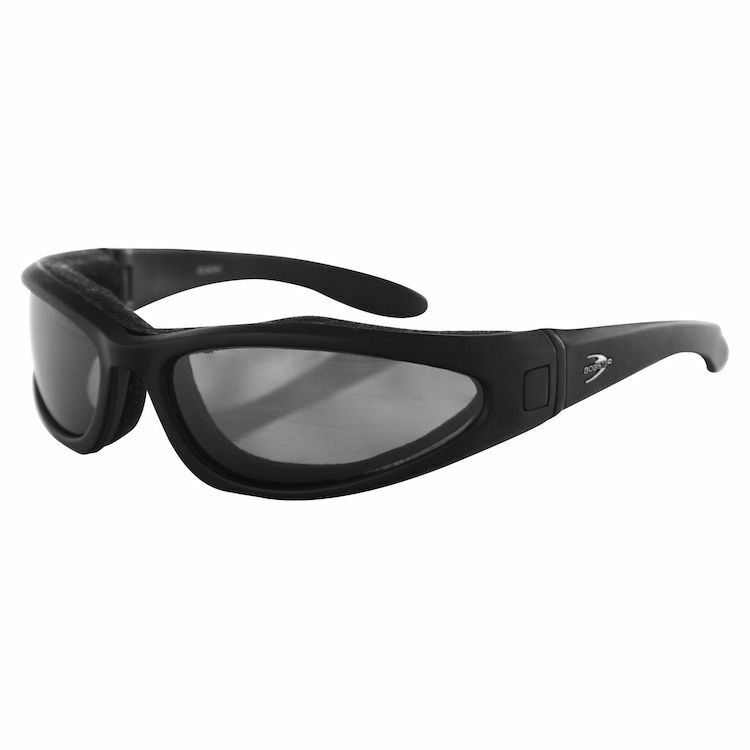 They work great and are easy to exchange lenses. Carrying case and cloth included.